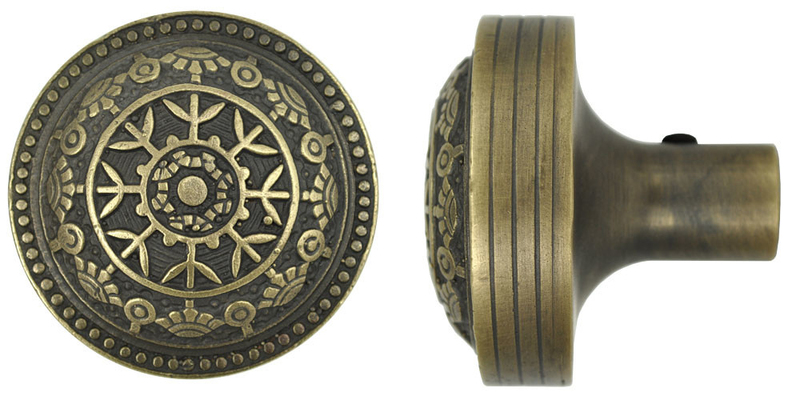 Windsor Pattern doorknob with a smooth finished side and back. Easy to grip, beautiful to look at. Reading Hardware Co. produced this popular pattern circa 1885, called Windsor. It attracted the Arts & Crafts followers and Eastlake advocates with its attractive lines that were not as flowery and ornate as high Victorian and Art Nouveau designs. Lost Wax cast antique finished and lacquered. Now available in our matte black Oil Rubbed Bronze Finish.